The Parliamentary Assembly of the Council of Europe, during its winter session held from 21 to 25 January 2019 in Strasbourg, elected Mr. Raffaele Sabato as the new Italian judge at the European Court of Human Rights. The vote took place on the session of 22nd January with 107 votes out of 193, passing the quorum of 97 votes at the first ballot. 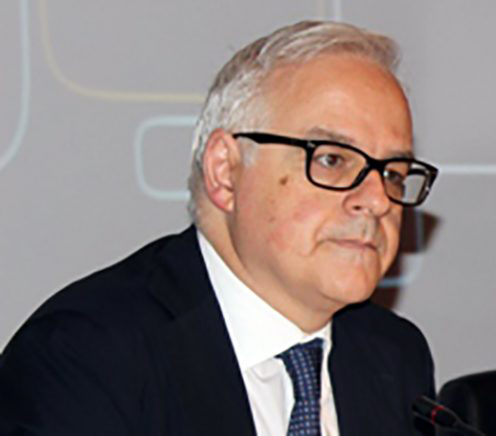 Following his appointment as a judge in 1991, he has exercised his functions for more than twenty years in the civil and criminal area and is currently a justice in the Italian Supreme Court of Cassation. He has been a judicial trainer at national and international level, a member of the Board of Directors of the Superior Council of Magistracy from 2012 to 2015 and he is currently a member of the Consultative Council of European Judges (CCJE) of the Council of Europe. Mr. Sabato is the sixth Italian judge at the Court of Strasbourg, preceded by: Giorgio Balladore Pallieri (1959-1980), Carlo Russo (1981-1998), Benedetto Conforti (1998-2001), Vladimiro Zagrebelsky (2001-2010) e Guido Raimondi (2010-2019). Mr. Sabato will start his mandate on May 4, 2019, succeeding the current judge and President of the European Court of Human Rights Guido Raimondi.